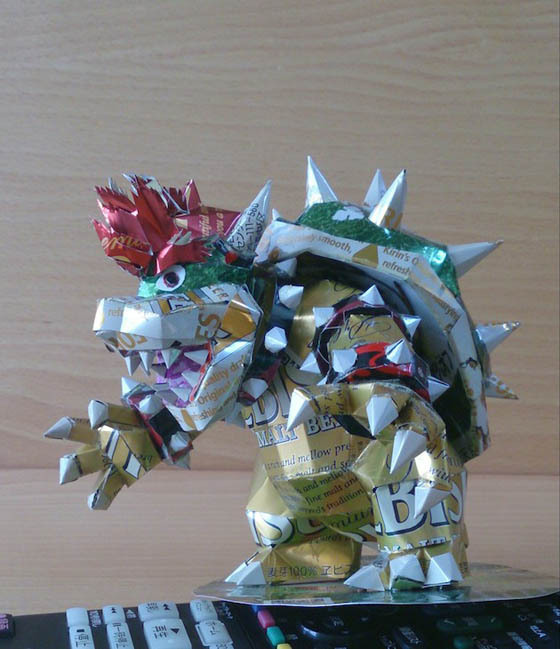 Who said aluminum cans should only go to recycle bin when you’ve finished drinking their contents. 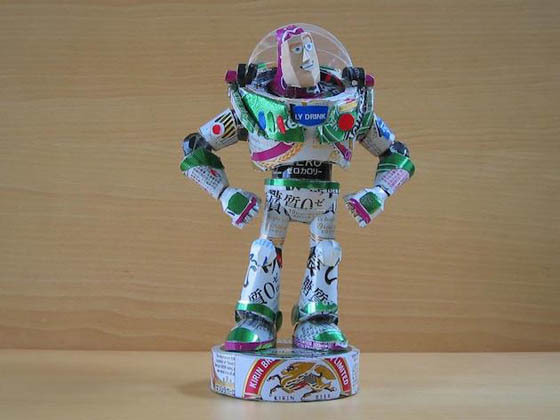 With creativity, someone builds can sculptures and someone creates pop culture characters. 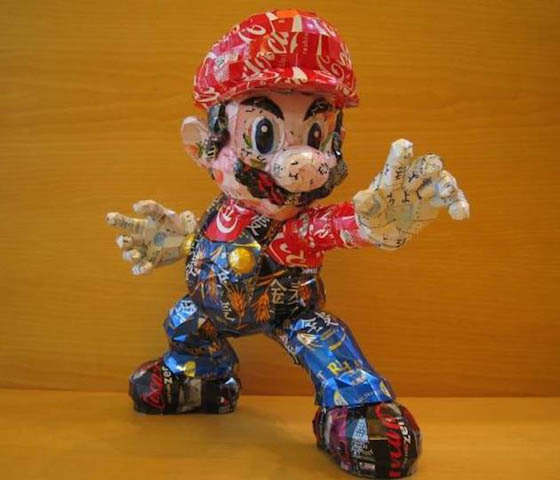 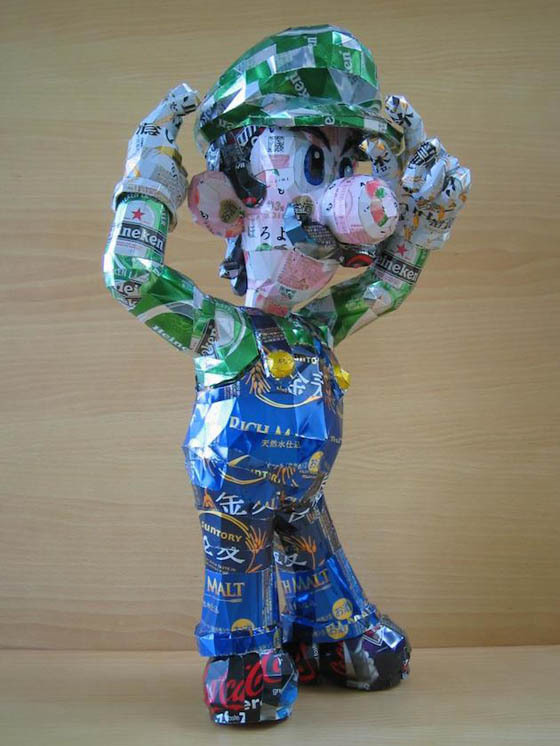 Japanese artist Makaon takes these would-be discarded cans and turns them into those famous pop culture icons like Super Mario Brothers, Batman, Pikachu, and even Buzz Lightyear. 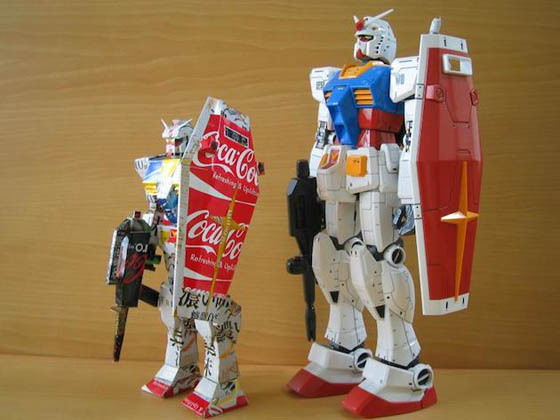 To build these works, firstly, Makaon need to find cans with right color which matches the characters he want to create. 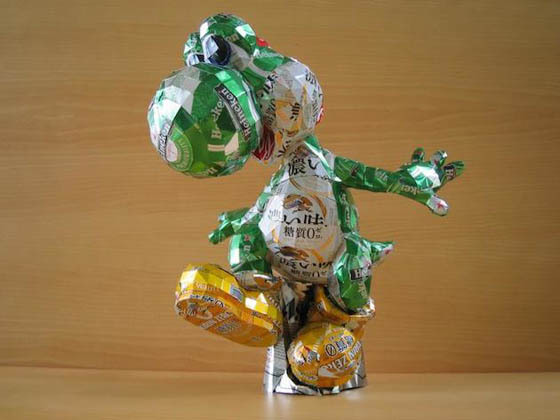 For example, Coca Cola provides Mario with a bright red hat while Carlsberg Beer gives Yoshi his green sheen. 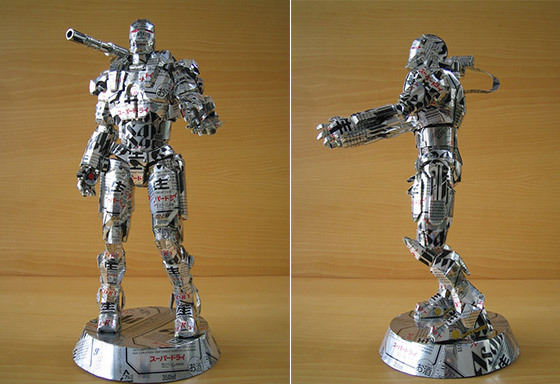 Then he takes small pieces of the aluminum and bends it to form the shapes. 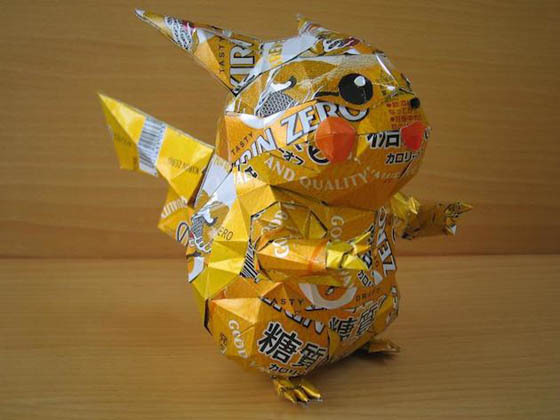 Even though these characters are angular in shape with a rigid-looking, but it is still quite cool and fun to see them.